The CLEANPRO® Carpet Cleaning System was developed by Kevin Owsley, an ambitious young man who got into the carpet cleaning business shortly after he graduated from high school in the mid 1980's. He realized the carpet cleaning industry was saturated with steam cleaning, and a few other inadequate cleaning methods. With the help of a local chemist, he had an idea that could possibly revolutionize the industry. 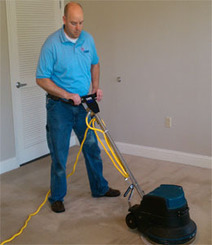 After years of trial and error, he was able to come up with the most incredible Carpet Cleaning System on the market. Through extensive research, and years of hard work, we've developed a technological breakthrough in the carpet cleaning industry. 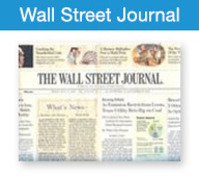 Our remarkable process is one that integrates technology and common sense. The CLEANPRO® Carpet Cleaning System works with an extraordinary scientific process called an ion exchange in conjunction with our unique citrus-based organic cleaning formula. Our peerless system encompasses the sciences of thermo-dynamics, kinetics, fluid mechanics, and economics. Applying this technology with our Carpet Cleaning System will yield results unbeatable by any other system on the market... even our carbonated competitors! There is no such thing as so called "dry cleaning" for carpets. You must have a certain amount of moisture to clean, without over-wetting. The CLEANPRO® CARPET CLEANING SYSTEM uses very little moisture to obtain fantastic results. This means your carpets will be completelydry within 1 to 2 hours. The fast drying method ensures that your carpets will not be overly wet and will not breed bacteria into the backing of the carpet. 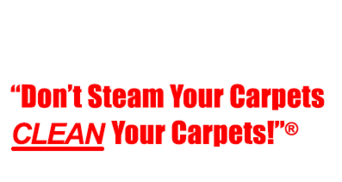 Steam Cleaning (hot water extraction) is notorious for leaving carpets wet for up to two or more days. Customers biggest concerns are how soon they can get their carpets cleaned, get a great job done, and get back to normal living on their carpets again. In the early 1990's, Kelly Preston (John Travolta's Wife) was a spokesperson talking about the dangers of carpet cleaning namely steam cleaning and the harsh chemicals that are used in the industry. Kelly Preston was compelled to talk to the public about these issues as their son Jett had contracted Kawasaki disease and blamed it squarely on the carpet cleaning industry. Jett Travolta had contracted the disease when he was a young child. Kawasaki disease has only found to be dangerous to small children. It is apparent that older kids and adults cannot contract it. With the Cleanpro System there is absolutely no worry of this happening as our unique product is very safe for indoor air quality and the system dries in about 1-2 hours and does not wet the backing of carpet where the bacteria and mold can begin. 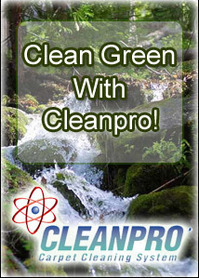 The CLEANPRO Cleaning Solution is an exclusive product only your CLEANPRO professional uses. This environmentally safe, neutral PH, citrus based organic cleaning solution is 100% biodegradable and will not affect indoor air quality. It’s nice to know that when you choose CLEANPRO, they only use the safest, yet most effective formula on the market today, and for many years to come. GUARANTEED! 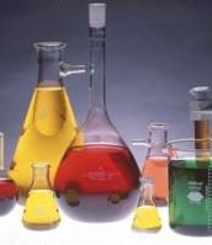 Many of the carpet and upholstery products in use today, besides being harmful to the environment, are animal fat or silicone based detergents and soaps, and they leave tacky residues in the carpet time and time again. These residues promote rapid re-soiling and should be removed from your carpet. The CLEANPRO Cleaning Solution actually breaks down and removes those residues from previous cleanings to maximize the length of time your carpets stay clean. Not only is our solution designed to leave absolutely no residue, but we can prove it!